"And the telly plays silent in the window...A news flash they've been playing all day. It flicks to the dull footage they have. Her last moves caught on security cameras. Grainy like. Shadowy. The way she reaches up, takes his hand." Stella's left the TV studio after her daily slot. Alex is up for a big night out. David has opted for a quiet evening in. But this is no ordinary night - as truth begins to lose its strength against intrigue, boundaries of identity become blurred. But there's an abduction on the news and it won't stop raining. 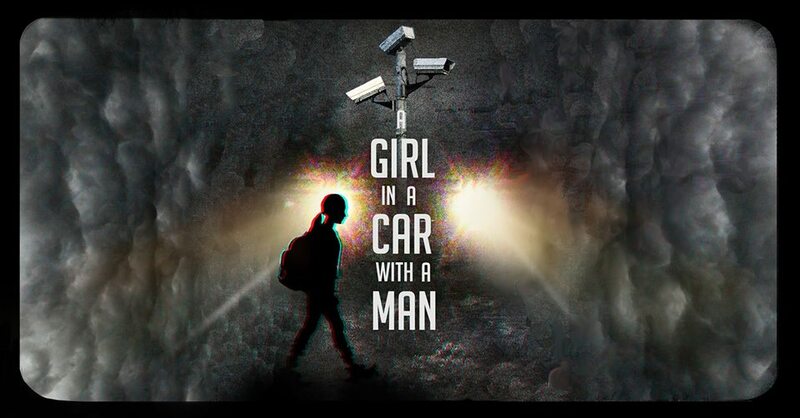 Premiering at the Royal Court in 2004, Rob Evans’ ‘A Girl in a Car with a Man’ will be brought to the Pilch Studio this November. SLAM Theatre’s electric production will combine stylized movement with fragmented narrative, overlaid with haunting video design, to question whether reality is behind or in front of the camera.